The Gallin Araucana or Mapuche , is actually native to South Asia, and they were in Chile long before the Spanish arrived about 1550. In 2007, archaeologist Alicia Storey and her colleagues reported the discovery of remains of hens at the Arenal-1 archaeological site, located in the Arauco peninsula (Chile). The samples were dated with C14 between 1304 and 1424 d. C., much more than a century before Portuguese and Spaniards arrived at South America. How can this be possible? The only explanation is that there was a flow of Polynesian emigration across the South Pacific to the coast of Chile. Haplogroup E, which has been identified in remains of hens found in Vanuatu, Tonga and Samoa. Haplogroup D, whose remains have been found in Hawaii and Rapa Nui. The Jafetitas, who colonized Turkey, northern Iran, the countries of the Caspian Sea, all of Europe, Afghanistan, Pakistan and India. The Camitas that took Palestine and extended to the south to Egypt and from there to all Africa. Crossing the Red Sea, they bordered the Arabian Peninsula (which was occupied by Semitic tribes) and were introduced in India by the South, reaching to occupy the whole subcontinent, establishing towards the 3300 a.C. The important Indo Culture in Afghanistan, Pakistan and Northern India. Around 1300 BC Were displaced by the Indo-Iranian (Jafetitas) invasions, then dispersed throughout Southeast Asia and from there to Oceania. They also populated Asia (China and Mongolia) to enter America via the Bering Strait. 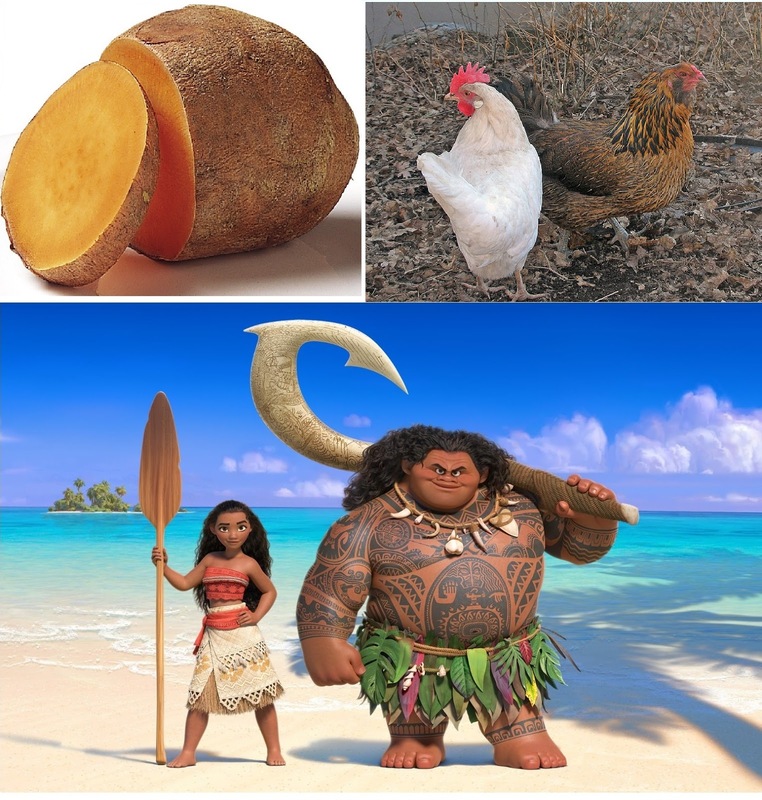 From Oceania, the distant descendants of Cam brought their Polynesian Chickens to the South of Chile, taking the American potato back to their Earth. Then about 1500 d. C. Europeans, distant descendants of Japheth, also arrived at America. The Dispersion of the Tribes to fill the Earth initiated in Genesis 10 and 11 had concluded.